However, the cost to join the ranks of such global hubs is estimated to cost Jamaica anywhere between US$8 and $10 billion. While Jamaica is endowed with natural advantages, such as geographic proximity—it is the island closest to Panama and home to the world’s seventh largest natural harbor in the world—it is also saddled with a crippling amount of debt. In order to successfully complete the daunting project before the canal opens, Jamaica will have to dredge the Kingston harbor in order to ensure that the massive ships will be able to enter port, expand existing port facilities, construct a dry dock for ship repairs, establish a transshipment commodity port, an air-cargo and passenger facility at Vernamfield, and develop the Caymanas Special Economic Zone. The Caymanas SEZ alone is a massive undertaking, consisting of a 1,500 acre site, with an independent energy source and integrated port facility developed through a public/private partnership. The Jamaica Investment Forum touts that this will be Jamaica’s first ever integrated industrial zone in the country, with the potential to provide up to 21,000 jobs. The air-cargo facility at Vernamfield will also host a smaller export-processing zone. Jamaica’s Minister of Industry, Investment, and Commerce, Anthony Hylton, has stated that plan is now the “flagship project” to stabilize the country’s economy and that the government has elevated it to the status of a national priority. The Government of Jamaica has estimated that the massive project would provide a 17% increase in GDP for the country over the upcoming decade. Given that Jamaica’s economy has largely stagnated, the World Bank noting that it had little and often no growth over the past 40 years, the potential opportunity makes the project impossible to turn down. In his vision, the transformation goes much more beyond the establishment of a transshipment and logistics hub. Proponents are presenting and packaging the project as a savior that will literally transform life on the island. “Jamaica’s surplus of professional and skilled workforce will be a primary factor in the success of Jamaica’s logistics hub and the corollary initiative such as the establishment of an international financial services center. We will also be relying on our robust and expansive telecommunications infrastructure across the island as well as our extensive subsea fiber network,” Hylton added. While the World Bank, Inter-American Development Bank, and promises of private investment from companies based in China and Singapore look promising in regards to covering much of the costs, the Caribbean has been sold tales of modernization and prosperity before. While remaining cautiously optimistic about the impact such a project would have upon Jamaica, it would be important to remember how the Caribbean Basin Initiative of the 1980s was designed to turn the Caribbean into an archipelago resembling mini models of Taiwan and Singapore. It obviously didn’t work. While it can be argued that the Caribbean lacked the infrastructure needed to modernize in a similar way to the Asian tigers, the Caribbean lost out in the long run primarily because it was cheaper to place sweatshops in China and Mexico. Despite Jamaica’s committed drive to construct the necessary facilities to serve as a logistics hub, it will be in competition with similar deep harbor projects in the Bahamas, the Dominican Republic, Costa Rica, Colombia, and even Cuba. 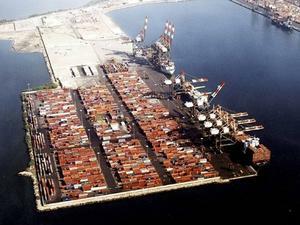 Additionally, the American ports of Miami and Jacksonville are also hoping to steal some of the Caribbean’s thunder. Thus while the upside is huge, it is not guaranteed by any means. It hinges on promises of funding and completion targets being met in an extremely narrow window of time. Hopefully this project will serve as a national project for Jamaica, galvanizing its potential and provide a light at the end of the tunnel. However, if Jamaica is going to truly capitalize on such a project, it cannot forget to make additional funds available for education and social services. While Jamaica certainly has a pool of skilled workers in the targeted sectors, the completion of such a project calls for a great deal more. At the moment, Jamaica’s debt serving eats up 50% of the annual budget, while health and education combined only accounts for 20%. Perhaps the promise of the project will allow Jamaica to have more breathing room from the World Bank and International Monetary Fund negotiations.